Though it gets less publicity these days than it did in years past, the foreclosure crisis in the U.S. lingers. Sometimes it isn’t even the homeowners who suffer most from foreclosure. Approximately 40% of the time, according to some estimates, it is tenants who wind up holding the bag. And that is certainly true in the case of Pam Ragland, who lives in California’s Orange County. 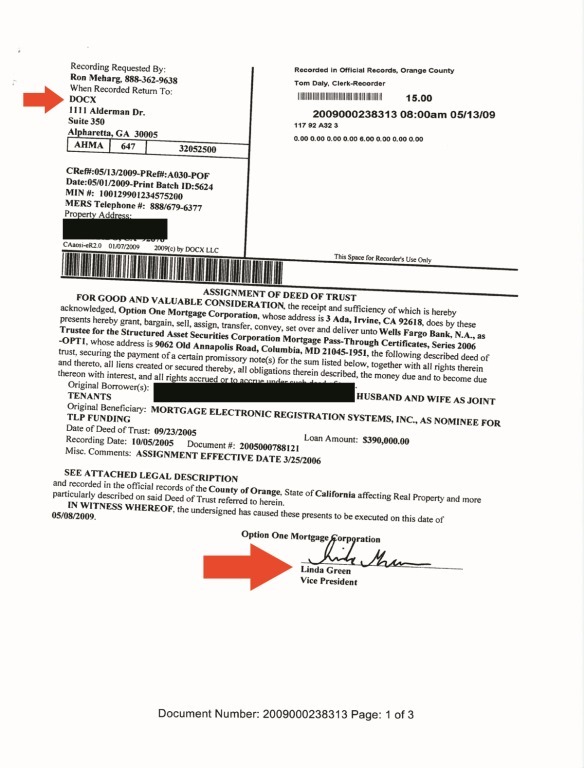 She eventually discovered in depositions that neither Wells nor Ocwen even have a process to verify the validity of her lease—regardless of why they foreclosed. The problem for Ragland is that she now lives in and rents a house that, for all practical purposes, is owned by an entity that is in effect, a slumlord. 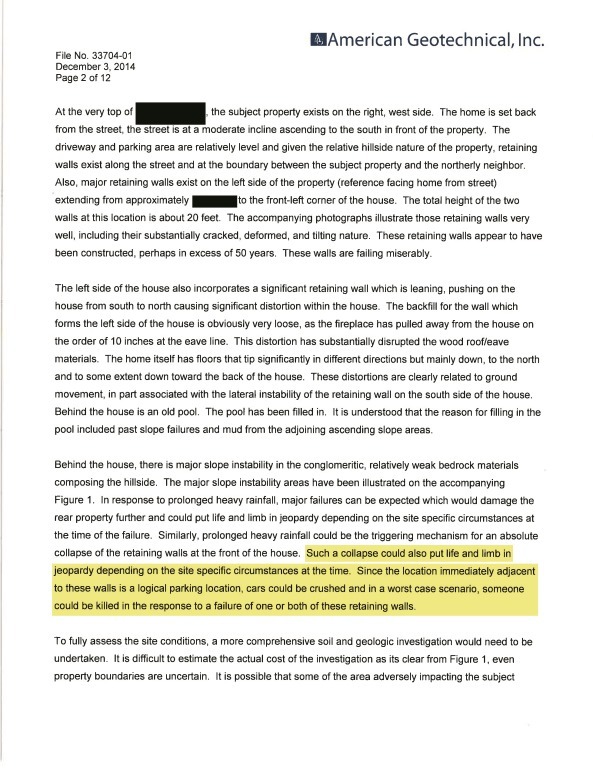 Although the house has issues, and Ragland’s lease contained provisions for making specific repairs as a condition of the lease, there is no landlord to whom Ragland can turn to work out anything with. Major repairs, maintenance, and habitability issues have all fallen to Ragland. 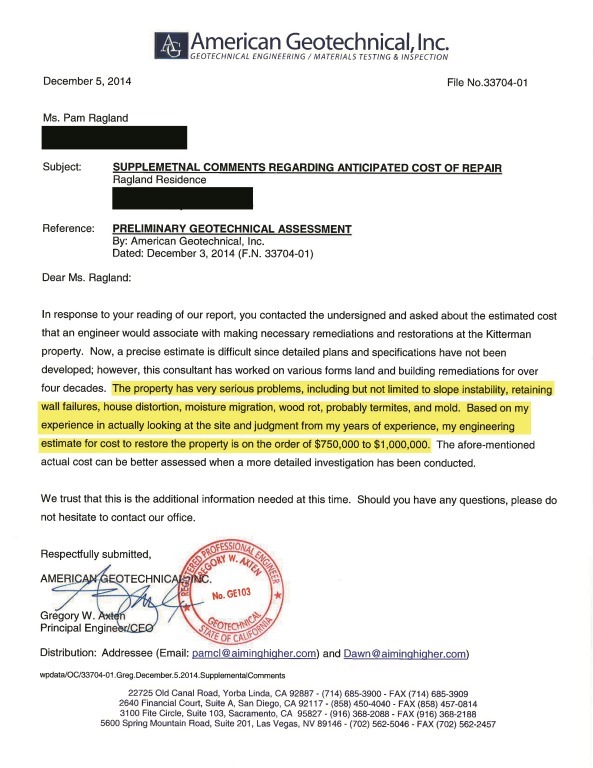 To date she has been forced to spend thousands upon thousands of dollars not only in legal fees–but also in repairs to the property. Besides the list the former owner agreed to repair (and which Wells Fargo ignored despite being a legal part of the lease) there are the geological and structural issues. Wells Fargo has been given expert reports, and their attorneys even inspected the house, telling her “We don’t know how they got a loan on this house.” Still Wells Fargo has done nothing to help Ragland’s family–they just assigned a new attorney instead. Ragland still cannot keep the rats out either, as structural repairs are needed. Recently, Ragland said her son had to use a BB gun to kill a rat running around the living room in broad daylight. 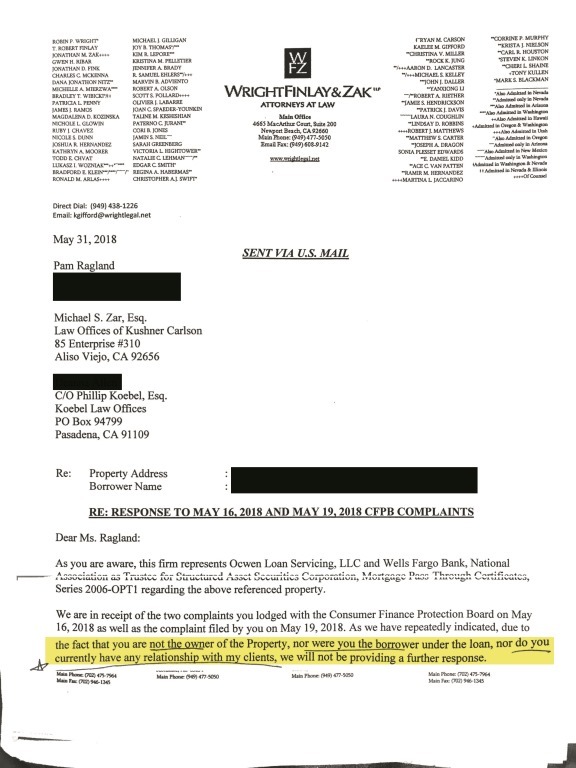 This entry was posted in California, Eviction, Foreclosure, Foreclosure fraud, Securitization Fail, US Bank, Wells Fargo and tagged AB 2610, DocX, foreclosure, foreclosure fraud, fraud, lease, Linda Green, Lorraine Brown, Ocwen, Orange County, Pam Ragland, Protecting Tenants at Foreclosure Act, Ragland v. US Bank, tenants, Wells Fargo. Bookmark the permalink.